With Christmas being over I am kind of getting ready for spring although we have months still to go, no? I have also been super busy with studies so my skincare has pretty much been unchanged and I only added a couple of new products from my last monthly favorites post and video and that is mostly makeup related as you will see. I don’t think I have mentioned Soap & Glory products and this month I have two! Before I got into wearing lipsticks these S&G Gloss Sticks were my go to lip products. They are very balmy and glossy . Although it looks quite sheer when watched on the hand I am always surprised at just how much color they pack. Raplumzel is a plummy wine shade perfect for everyday wear and super effortless yet still packs color. Another Soap & Glory gem, I swapped this for my loose powder which I have been using for months now, just to do something different and I am loving it. It is super mattifying and oilier T-zone stays oil free longer when I use this. 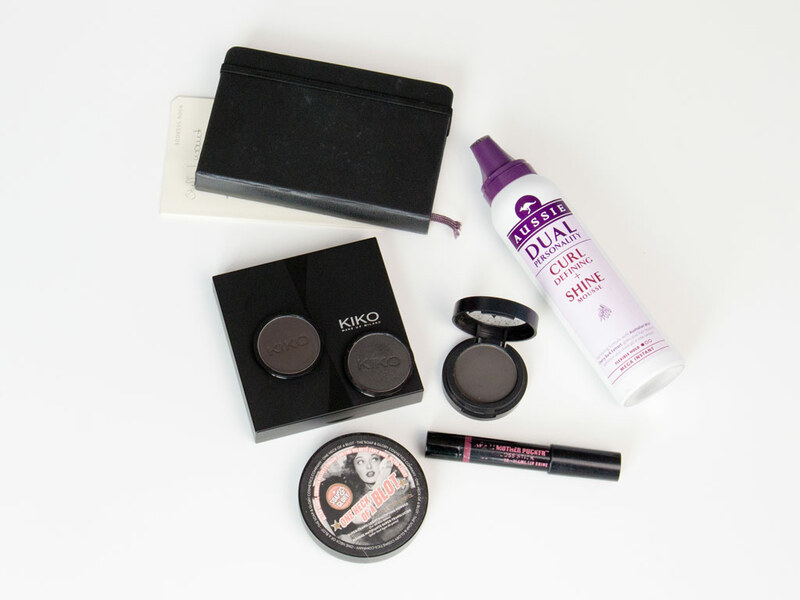 I think this month I am going to add it to my make up bag for on the go retouches and see how it holds up. I have never tried Makeup Store products but have seen Linda from Banger Beauty use and love love so when I was in Berlin I picked this one up. It is a cool toned dark gray and I love mixing it up with Omega from MAC or just a bit of bronzer in the crease. Beautiful color pay off, lasts long and the only issue really is that you can’t buy this online and shops are few and in between. Unless you live in Sweden. Then go for it. 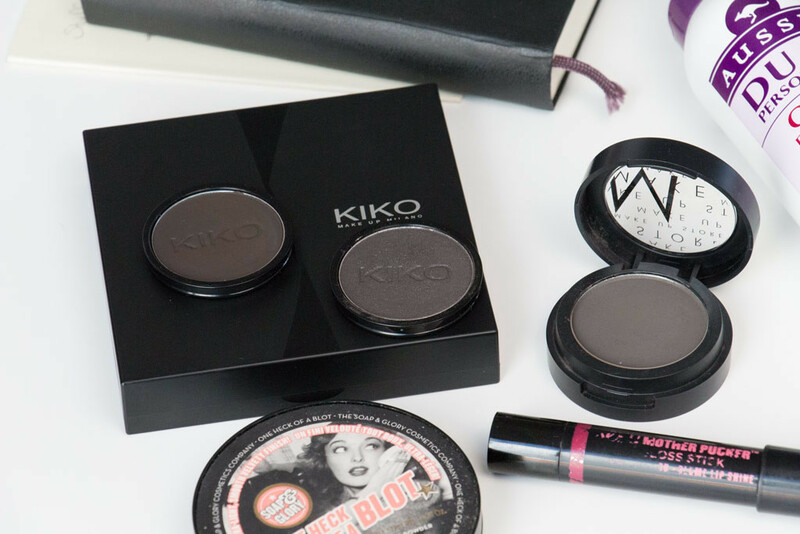 Because it wouldn’t be fair to review stuff that is so difficult to get (hint, hint Make Up Store), two very similar colors that I also used to death this month are KIKO Infinity shadows in 287 which is has a slightly shimmery finish but is the same dark gray like Beaver, and in 242 which is a totally matte dark brown with a cool gray undertone. even buy it. It may have been the fact I like the Aussie products and because they are mostly infused with oils I thought this one would be to, it isn’t (Wild Cherry Bark is what is says on the bottle) but I do love it. It does not leave my hair sticky, which is why I don’t like so many of the other styling products, adds softness and helps hold (heat) curls and natural waves. Aren’t you glad you aren’t me now? 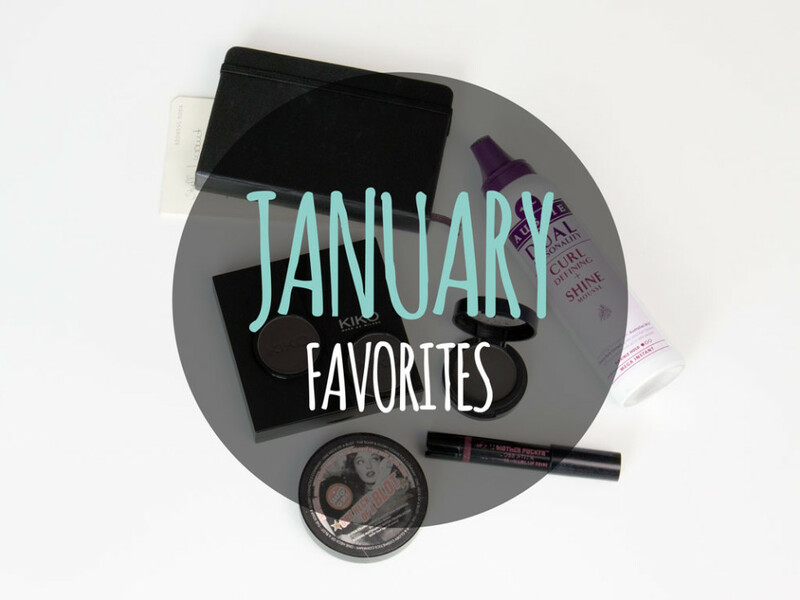 What products were your monthly favorites this January?